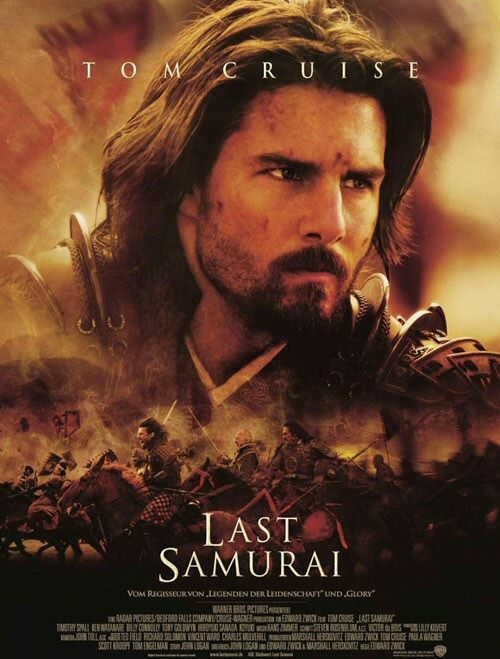 Chrichton's World: Review The Last Samurai (2003): Am Edward Zwick Classic! Review The Last Samurai (2003): Am Edward Zwick Classic! The Last Samurai stars and is produced by Tom Cruise. As we all know he is not Japanese and therefore is the least suited to play a samurai. However he never plays one. For some reason a lot of people think the title refers to him which is not true. The Last Samurai is Katsumoto played by Ken Watanabe. His character is based on the real historic figure Saigō Takamori, who was considered to be the last samurai before Japan was modernized completely. Another criticism towards the film is that it follows a white saviour narrative. Tom Cruise is the lead and does help out. But he is not a savour. He mostly serves as a witness and guide to Watanabes character and rebellion. Now this doesn't exclude the fact that many liberties have been taken. However that is not something that should come as a surprise. The Last Samurai is basically a Braveheart kind of story set in Japan but with fish out of the water elements added so that the audience can learn more about the Japanese characters and their culture in particular about the samurai. A Shogun light so to speak. I personally love this film very much. It's a beautiful story with many touching moments and is packed with good action. The cinematography and soundtrack is amazing. Especially the soundtrack since Hans Zimmer successfully mimicked Japanese musical scores. But the acting overall is very good also. Ken Watanabe and Hiroyuki Sanada especially do a lot non verbally. Sanada for example doesn't even have that much dialogue. Actually now I think about it most of the Japanese cast don't speak that much. Not sure if this was because of the language barrier or that it was to emphasize Nathan Algren's predicament. Nathan is played by Tom Cruise and convinces as the American soldier who is ashamed and damaged of the evil deeds he has committed against the Indians (Native Americans). When he gets captured and is taken hostage by Katsumoto. At least he is under the impression he is. But in fact he is seen as a guest. When he realizes this he opens himself up to their way of life and even joins them because he believes that they are on the right side. The Last Samurai is very beautiful film that you can enjoy over and over again since many elements in it just hit the right notes every time you watch it. A must own.